Home / Register as an Exhibitor! 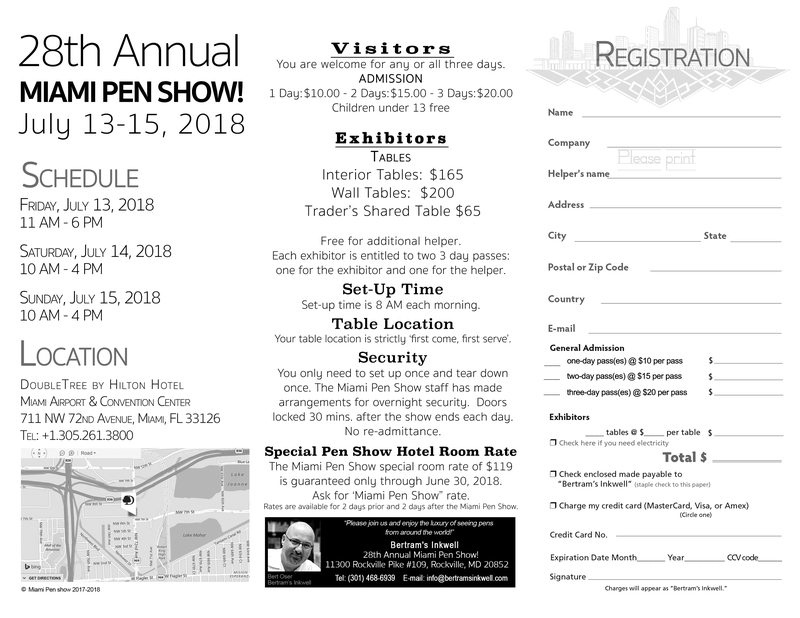 How to Register as an Exhibitor at the Miami Pen Show 2018. C/O 28th Annual Miami Pen Show! We look forward to seing you soon!